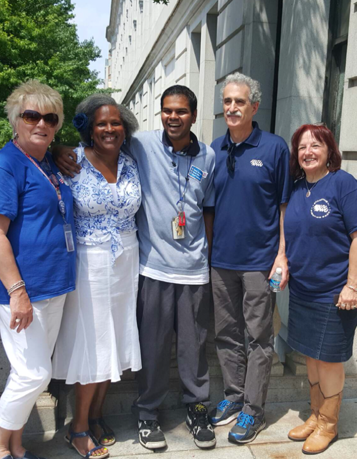 12/04/2015 - Arbitrator Shyam Das ruled on Dec. 3, 2015, that the American Postal Workers Union and the National Postal Mail Handlers Union may now go forward with their Step 4 grievances challenging the Postal Service’s decision to close or consolidate approximately 82 mail processing facilities starting January of 2015. The grievances had contended that the consolidations violated the PO-408 Handbook, Closures and Consolidations Area Mail Processing (AMP) Guidelines. Happy 240th Birthday, Postal Service! President Mark Dimondstein and Vice President Debby Szeredy. A number of locals joined in with others in wishing the Postal Service a Happy 240th Birthday on July 26, "Postal Heritage Day." historical post office - for now. In April, the USPS Office of Inspector General (OIG) issued a scathing report on the Postal Service’s transactions with CBRE, which serves as its exclusive agent for real estate transactions. The report recommends that the USPS terminate its contract with CBRE, the world’s largest real estate company. The OIG also referred numerous USPS-CBRE transactions to its Office of Investigations for possible criminal charges. The report points out that USPS management permits CBRE to represent both the Postal Service and the businesses and individuals that are buying and leasing property from the USPS. 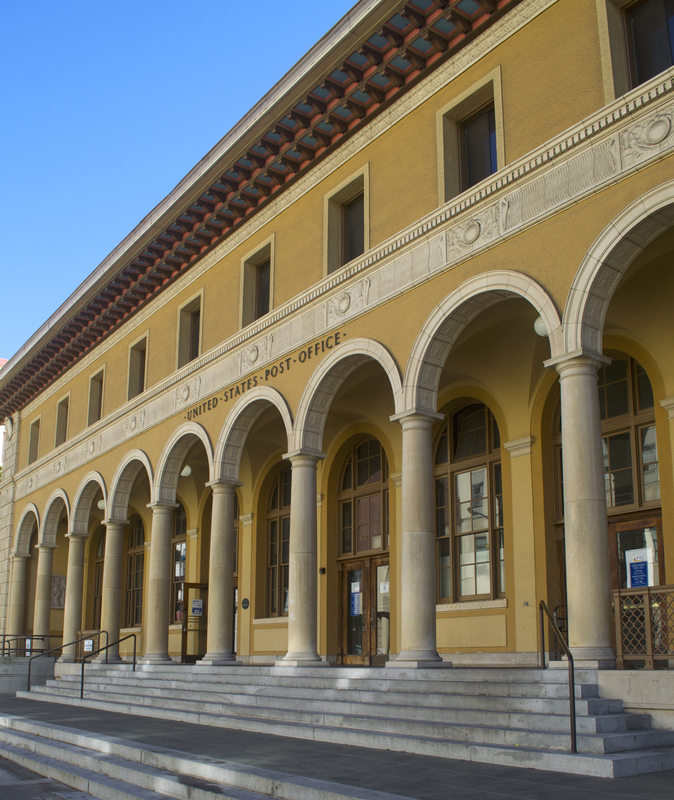 which has been displayed in the Reedly, CA, Main Post Office since 1935. “When USPS management sells these priceless public properties to private interests at a discount, they are privatizing a national treasure,” said APWU President Mark Dimondstein. The Postal Service not only takes these assets away from the people they belong to, but often sells them to individuals who work against the best interest of the public: bigwig developers who are only interested in their own profit.